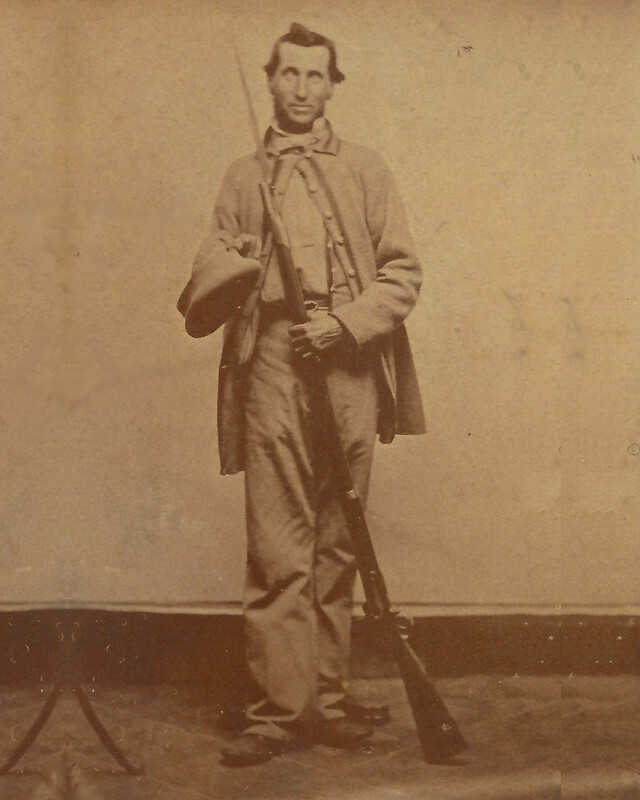 Andover farmer and shoemaker Josiah Mason was mustered into the 1st Massachusetts Sharpshooters, organized at Lynnfield, on September 2, 1861. Known as “Andrews’ Sharpshooters” after the Massachusetts governor, the unit left the state for Washington, DC, and was attached to the 15th Massachusetts Infantry. Part of McLellan’s operations in Northern Virginia, they were engaged in the Battle of Ball’s Bluff on October 21, a Union defeat remembered for the miscommunication and crucial errors of the command staff. In January 1862, Mason was taken sick while the company was at Patterson’s Creek in Virginia and sent to the hospital at Cumberland, Maryland. In April of the same year, suffering from phthisis pulmonalis (tuberculosis of the lungs, with heart damage), he was declared “wholly unfit for duty” and discharged. Back in Andover, he applied and was approved for a disability pension, but died in April 1863. His widow Sarah received a widow’s pension for herself and the couple’s four children.